Sam and Dan added to there solo count, George and Ben notched up more time in the K23. Forecast sunny all day so an early start with just about the whole fleet taken out and made ready. Fog had other ideas and for a while we could not see more than 25 metres. All cleared at 13:00 and we made the most of the afternoon with plenty of Winch Launches and Aerotows. A few more members were introduced to the delights of the K18. 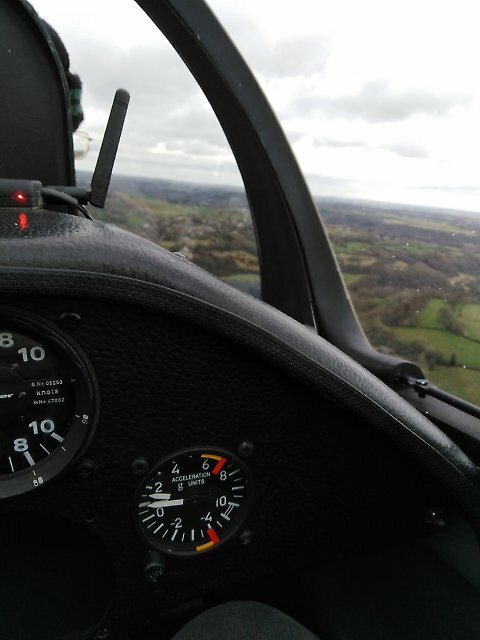 A first solo too so not a bad day all round. 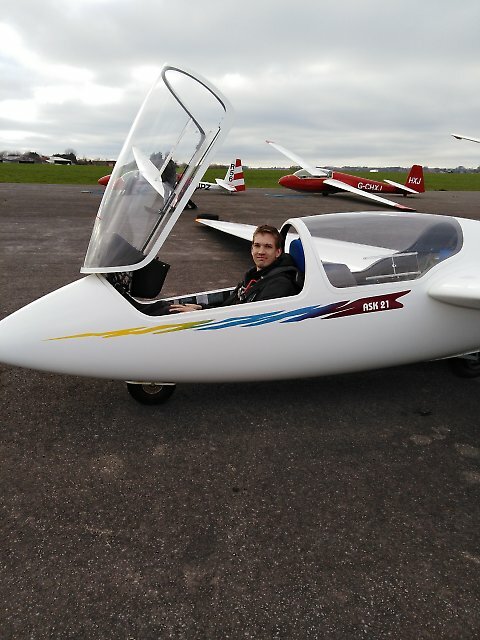 The DG500 went away to Denbigh for the weekend to fly with young pilots from across the country as part of the UK Junior Gliding Winter Series. Over 80 Juniors attended the event, including a good number of our own UWE students. 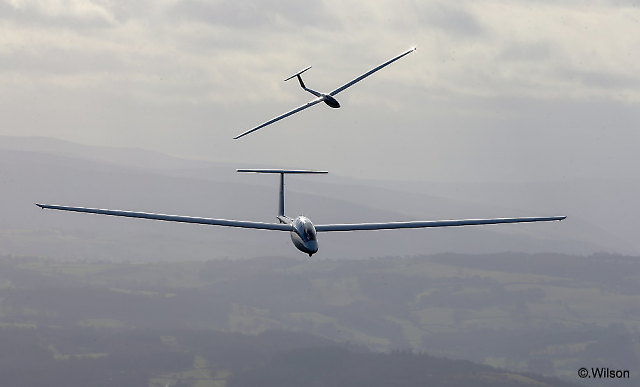 The weather didn't disappoint and we were able to give many Juniors their first experiences of hill and wave soaring. 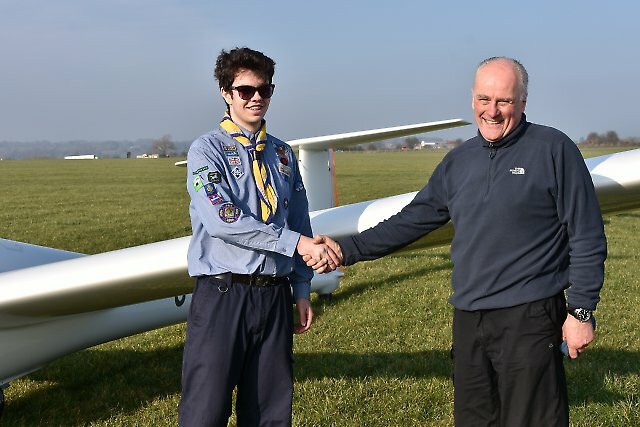 Many thanks to the club for letting us use the glider and for the continued support of UK Junior Gliding. Low cloud delayed the start. The farmer ploughing next to the runway at the start was extremely cooperative. On hearing that we might only do one launch, he agreed to stop and only resume if we told him we had to wait for the cloud to lift, which is what happened. For this helpful attitude he was presented with a couple of bottles of beer. Today several members took advantage of the fact that it was not raining or blowing a gale to get some Aero Tow practice. 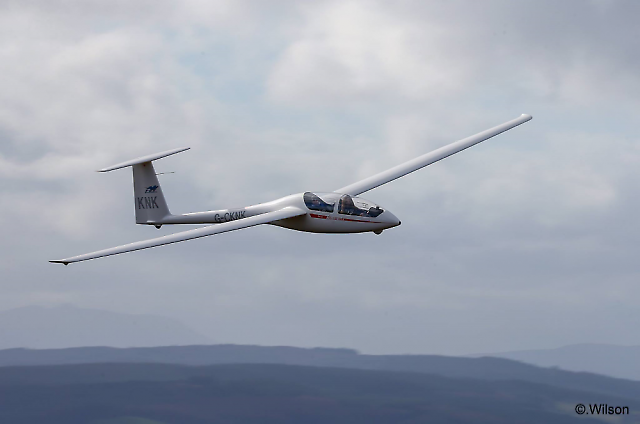 The K21, Pirat, Olly, Arcus and LS3 took tows totalling 25000 ft, Cloud base was around 3000ft and varied during the day and later in the afternoon Doug Gardiner managed an hour and a half in his LS3 Landing a 4.00pm. After an informative Winter Refresher brief to a handful of Club members, it was decided the weather was inclement enough to call it a day so no Club flying today. Hopefully Aerotowing tomorrow will make up for another grotty weekend. A misty drive over but when I arrived the sky was already starting to clear. The first hour was spent on the Winter Refresher presentation for 8 club members (and a couple of instructors) and by then there were breaks of sunshine. 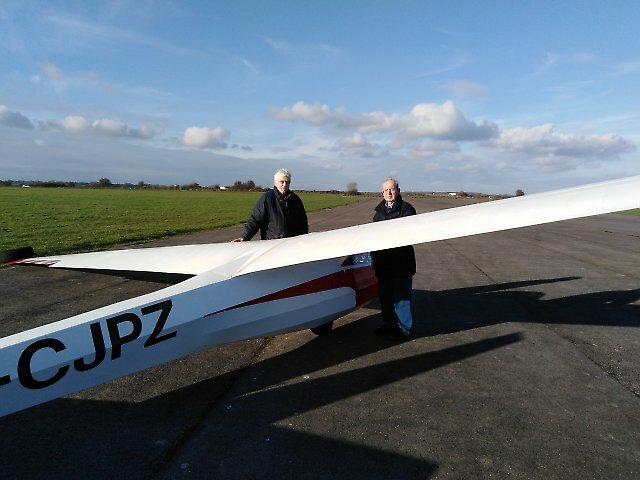 Robin took the 'new' K18 for its first flight and was flown by a number of members throughout the day, all seemed to like it. 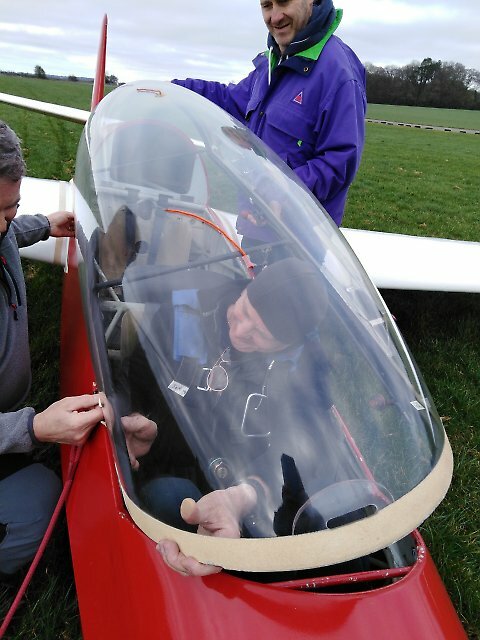 Tom rigged the ASW 27 for a few re-familiarisation flights, enjoying some soaring in the process, as did a number of members in the K21. 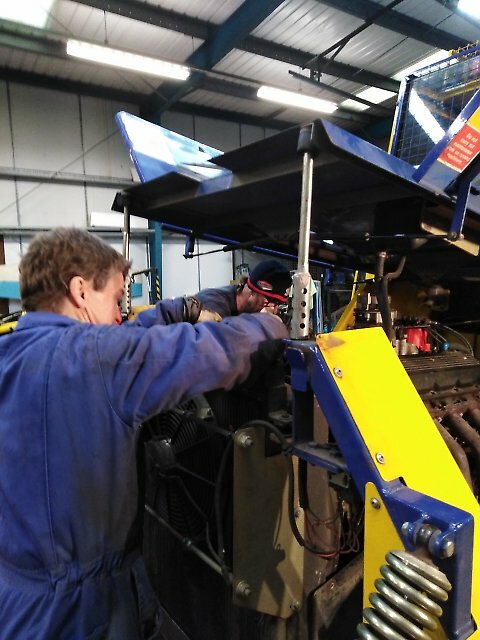 It got a bit colder later in the day as the sun disappeared, so we let Roger complete his BI checks with Simon in the K21. Thanks to Steve Purkiss and Dave Freeman for winching. 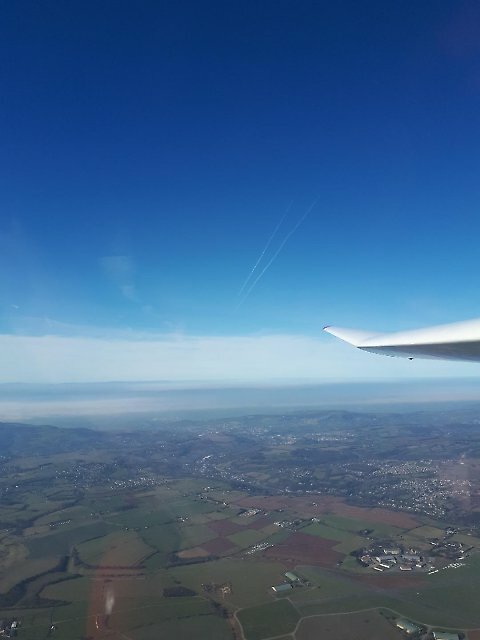 A picturesque day's flying over a white winter landscape for (mostly) the younger members. 23 launches to 2,000 ft + in the cold dense air. Thanks to Steve, Tim and others for the winch & lorry driving. 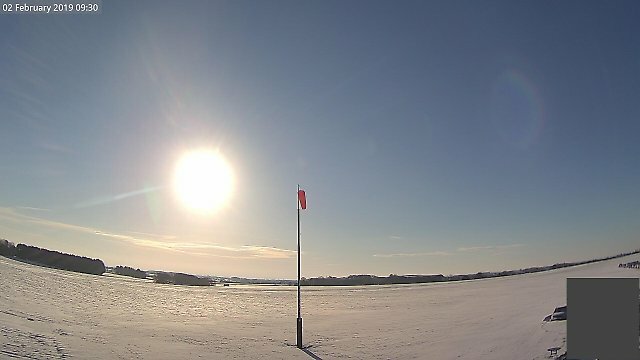 Airfield blanketed by snow, so no flying today folks. Apologies but Sunday is suffering from flatulence. We are currently gusting up to 35kts with areas of severe turbulence around the airfield so we have decided to scrub the day.